Mortgage rates are the most affordable they have been in at least 40 years, and anyone thinking of buying or refinancing should jump at the chance to get one of these bargain loans now while they still exist. Within the past five or six years mortgages have gotten a really bad name, and for a really good reason. Banks and mortgage companies spent years ripping off their customers, engaging in predatory loan practices, and selling exotic and highly toxic loans and refinance packages to borrowers. Millions of Americans lost their homes and many also went into bankruptcy, while a handful of lending companies executives went to prison. The feds conducted investigations, Congress jumped on the bandwagon to legislate more oversight of the mortgage industry, and the global economy went down the tubes – thanks to economics directly related to mortgages. So if the word “mortgage” causes you post traumatic stress disorder it’s understandable. The fact is that most people who took out mortgage loans prior to the big credit crisis and housing bust probably had no business doing so. Lots of consumers are better off not borrowing to pay for a house – because they just can’t afford it. But it’s not that crowd that I’m talking to here. If you are in the other group – the consumers who can afford a reasonably priced home and do have decent enough credit and enough financial responsibility to take out a mortgage – then you’d be crazy not to right now. Rates are as cheap as they will probably ever be, and people who qualify for a mortgage at today’s rates are getting the discount of a lifetime – or maybe even several lifetimes. You can get a loan cheaper than your neighbor’s. You can get a loan cheaper than your parent’s. You can even get a loan that’s more affordable than the one your grandparents took out when they bought a home. Here’s the deal. Mortgage rates on safe and reliable fixed-rate loans with payback schedules of 15 or 30 years can now be gotten for less than 4%. Compare that to the way mortgages have been sold for the past century and you’ll see that these rates are too low to ignore. During the last half of the 20th century, for example, the average mortgage rate was in double digits. People who got a 10% mortgage were satisfied. Those who got as low as 6% felt like bandits, and anything lower than 5% was virtually unheard of since no bank or mortgage company handed out money that cheap. Even during the boom days of the early 21st century – right before the whole thing came crashing down around us – rates were hovering around 5%-6%. So to wake up in 2012 and be able to take out a fixed rate mortgage for about half that price is astonishing. Some people are still waiting for rates to go lower, of course, so here’s why I argue that they need to forget about that and get off the fence. 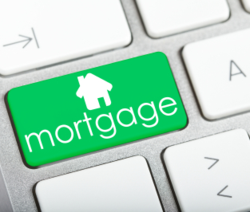 Mortgage rates are tied to underlying rates set by financial entities like the Federal Reserve. Those key underlying rates have been at just a slight fraction above zero for years, because the Fed kept cutting rates in order to artificially jump-start a dying economy. The problem is that you can only do that for so long until you run out of room. That’s one reason why the economy has not recovered as it typically did following other recessions where cutting interest rates was enough to stimulate a rebound. There is no place to go but up when rates are at zero, so the Fed has had its hands tied without a rate-cutting tool. Meanwhile mortgage rates have predictably followed the trajectory and gotten lower and lower, until there is no place left to go. You cannot drop mortgage rates to zero, for example, if you are a bank. Doing so makes no sense, because you cannot earn a profit. Instead of doing that banks would just stop doing mortgages at all and concentrate on making money through other services. Right now they are barely making any money off of mortgages because rates below 4% leave hardly any margin, and that’s one reason why banks are nickel-and-diming consumers to death with petty charges like ATM fees. So if you expect rates to drop enough to save you a significant amount of money on a mortgage, you’re mistaken. Even if they drop another point or two, that’s not going to make a huge difference in your monthly payment. But there is no momentum on the downside, either, so the real issue here is that rates on home loans have only one way to go, and that is upward. As soon as the economy gains some traction, rates are going to be raised fast in order for the Fed and financial institutions to get back to a normal state of affairs. Mortgage rates will climb and will most likely never return to these ridiculously low levels again, unless the world explodes or aliens invade from outer space and destroy all the banks. So the bottom line is that if you are thinking of buying or refinancing, do it now. You’ll get a rate you can brag about for the rest of your life.